Scopes, roles, boundaries, contributions: who does what in a brave new healthcare world? We know there are a lot of people in our communities who have relatively simple pain problems – a temporarily painful knee after walking up hills for the first time in ages, a painful back that “just happened” overnight, a rotator cuff problem that makes it difficult to get dressed or hang out washing. We know that there are some pretty simple things that will help in these situations: some reassurance that the awful thing the person is worried about isn’t likely to happen (no, you won’t end up in a wheelchair because of your back pain, and no it’s not cancer); some pain relief to help with sleeping more soundly and so we can keep doing things; and gradually returning to normal occupations including work even if the pain hasn’t completely gone. We also know that approximately 8% of people with low back pain will ultimately end up contributing to the most enormous spend in healthcare that we know about – their pain continues, their distress increases, their disability is profound. BUT before we put all our attention on to this small group of people, I think it’s worthwhile remembering that people in this group are also more likely to have other health conditions, they’re more likely to smoke, to be overweight, to have mental health problems; they also probably come from lower socioeconomic groups, groups including people from minority ethnicities, people who find it much harder to get work, to remain in education and perhaps even people who typically use healthcare more often than the people who get back on their feet more quickly. Data for these statements comes from the 2006 Health and Disability Survey in New Zealand and numerous studies by epidemiologists around the world – back pain is only one of a number of problems people in this group have to deal with. I’m also not saying everyone who gets back pain that lingers has all of these additional concerns – but there is a greater prevalence. And possibly the most important skill is being able to tolerate not knowing without freaking out. This is important because when people come to see us with a complex problem (and increasingly this seems to happen), the simple models break down. The tissue-based, the germ-based, the simple single-factor approaches do not fully explain what’s going on, and don’t provide adequate solutions. What this means is we, ALL health professionals, will need to think about where our skills lie. Are we people who enjoy pumping through a big number of relatively simple problems? If so, that’s great! Your contribution is clear-cut, you know what you need to do, and you refine and practice your skill-set until you’re expert. I think this is awesome. Or, are we people who relish complex, who look at situations and see that it’s messy and complicated but don’t get put off? In this group we probably use skills for researching and planning, operationalising or getting things started, and we’re often the people who network furiously. We do this not because we’re social butterflies (me being the ultimate introvert), but because we know WE CAN’T DO THIS WORK ALONE! What about clinical skills and scopes and boundaries? You know, I am not entirely sure that anyone except the health professional him or herself cares who does what they do to help someone get better. It’s not whether a nurse or a speech language therapist or a podiatrist or a medical practitioner, it’s whether the person (or people) treats each person as unique, listens carefully, is honest and straightforward about what can and can’t be done, and knows when his or her skills are not sufficient so calls in the rest of a team for help. There is a time for working beyond your scope, and a time for calling in an expert – but to recognise when an expert is needed requires knowing enough about the problem to know that an expert might be helpful. What this means in healthcare, I think, is adopting a framework that works across diagnosis and into the idea that people actively process what happens to them, they make their minds up about what’s needed, and they can learn to do things differently. I’d call this self-management, but I could equally call it a cognitive behavioural approach, or behaviour change, or motivational approaches or even patient-centred or person-centred care. The idea that people understand more than we often give credit, that they make sense from what happens to and around them, and that this knowledge influences what they do comes from a cognitive behavioural model of people, and fits beautifully within a biopsychosocial framework. So, when I advocate getting skilled at cognitive behavioural skills, I could equally use the term “person-centred” or “self-management” – whatever the label, the contributions from each professional involved will ultimately influence the health experience and actions of the person we’re seeing. Isn’t it time to be excited about opportunities to develop and to extend our skills? And if this doesn’t excite you, isn’t it great that there are a group of people who will respond to the simple and straightforward – but let’s not confuse the two situations. In an era in healthcare where administrators prize standardisation, algorithms and consistency, it’s no wonder that in chronic pain management there are concerted efforts to make a standard treatment recipe to suit everyone. After all, there are common things that people living with pain need: accurate information about pain, accurate information about tissues and how they contribute to pain, assurance that pain doesn’t mean ongoing damage, and being introduced to some safe movements that don’t threaten an already agitated nervous system. There’s even a call for clinicians to use a kind of curriculum to make sure all the important bits are covered based on the individual’s presentation. This is valuable stuff! But, I think standardisation* is both an admirable and a futile effort. Admirable because we know there are so many clinicians and patients who don’t get told much of this information. Admirable because it would be great to know that once given, this information should make a difference to the person living with pain. Admirable because it’s easier to remember a “standard” list of topics, or a standard management approach than to generate a fresh new one every time a person comes in to see you. But I think a standardised approach (used unthinkingly) might not be the most efficient way, it could almost be futile, and here’s why. I’m a nerd. That’s right, when I get on a topic I love, I can talk for hours! I have seen the eye rolls, and that subtle slump that tells me that I’ve gone on too long. I think there’s a very fine line between being enthusiastic and being too intense, particularly when it’s a topic I love but maybe the other person is less enthralled with. I know I’m not alone in this enthusiasm (thank goodness!) but I also know that I need to be aware of all those cues that tell me when someone has had enough and I’m boring them. If I want to do more than lecture, I need to go about my conversations in a different way. I have to actually converse not harangue! Conversations, especially where one person is knowledgeable about a subject and the other isn’t, are really guided discoveries. A guided discovery is where one person asks a question and the other person, who knows the answers, is able to answer. The questioner listens because he or she wants to find out. Various skills underpin conversations – mirroring body language, use of gaze (looking at the person, looking away), using metaphors and those little “listening cues” like “uhuh” or “mmmm” or “tell me more”. The thing about conversations is that although one person is finding out about the other, in fact most times both parties will learn something new. We’d expect the person asking the questions to learn something new, but the person responding? How do they learn something new? There’s quite a large body of research that considers conversation to be one of the main ways humans develop meaning, and that these meanings are then reflected in the way we perceive events and act on them (Strong, 1999). In other words, as we converse with one another we develop a shared understanding of the subject under discussion – or at least it’s possible to do so. This view is part of a social constructivist view of reality. Strong’s paper states that people living with chronic pain experience suffering when “chronic pain sufferers and others are engaged in conversations that yield no differences in meanings for the participants” (Strong, 1999, p. 39). In other words, when one person is not heard, or the conversations they have with others don’t influence the beliefs or meanings they have, the conversations themselves contribute to suffering. It’s not hard to see that if one partner in the conversation isn’t really listening; or if the questions being asked are only done to confirm a prior belief; or if the person answering doesn’t think the other is listening – well, neither person will change his or her understanding. And I think this is what we risk if we use a standardised way to provide information to people. I can see that instead of being a conversation in which both parties learn, “educating” could become an opportunity for one person to lecture the other. Now I know this isn’t the intention of pain neurophysiology education. I know that it’s intended to be conducted within the framework of genuinely wanting to help the person living with pain view their pain as less threatening and less mysterious. I said before that I think standardising a “pain education” for people living with pain might be futile. This is why: when each person has a unique understanding of their body, their pain and their life, and when they’ve had a unique pathway to getting to see a clinician, they’ve probably also had any number of unique conversations in which their understanding of their pain has been changed. They’ve taken a bit here, and a bit there. A piece of this and a dab of that. And then they’ve infused this with their own experiences and arrived at their own theory for why they have pain. Each one of those thoughts and beliefs and attitudes needs to be revisited in the light of new information. This is not something that will shift with just one “info dump”. What I’ve learned from motivational interviewing and case formulation (thanks psychology!) is that until the person is ready to hear what we have to say, they’ll pick up on the parts of what we say that they want to hear. What this means is that we need to give them the respect they deserve for making their own theory for their pain, and we need to listen to what it is and how they’ve developed it. It makes sense to them. And we need to ask for permission to introduce a new idea. If we jump right on in there without being given permission I know how that will go down! In a few cases the person will be absolutely fine with it: they were ready to hear something new. But in many cases, we’ll be generating resistance because we’re challenging something the person has learned for him or herself. I think we also need to recognise that people pick and choose the bits of information that resonate for them. This means their understanding of pain is unique to them. We know that reviewing existing knowledge in light of new information is a really good way for students to develop a deep understanding of their subject matter – the same occurs for people learning about their pain. By gently guiding people through both their current understanding, and then through a combination of information and experience, they will draw their own conclusions about what this new material means. Our “education” needs to be a guided discovery together with the person so they can make sense of their experience in the light of new information. 11 June – one day workshop on graded exposure! This is a two-day workshop on integrating biopsychosocial factors into clinical assessment, clinical reasoning and treatment planning. It’s about taking pain management from the clinic into the real world. It’s a time to learn more about the practical aspects of integrating these messy concepts – without breaching your scope of practice! By the end of the two days you’ll have some tools you can use on Monday, gained confidence and had fun. Come and join me and the fabulous team who have done all the arranging for these workshops! There are days when life looks fantastic, then you hit a flat spot and it all goes pear-shaped. While overall you’re definitely making progress, it doesn’t always feel like that especially during a set-back. And this is normal and predictable – but we nearly always fail to plan for it, so the set-back can pounce like a Tigger. The thing is, though, that as clinicians we can forget this when we’re working with people living with pain. We’re so keen to see people make positive changes that we can forget just how hard it can be when change needs to happen right throughout the daily habits and lifestyle of the person. And so when someone begins to slow down in their pace of change, perhaps even fall back a bit, we can be somewhat unhelpful. 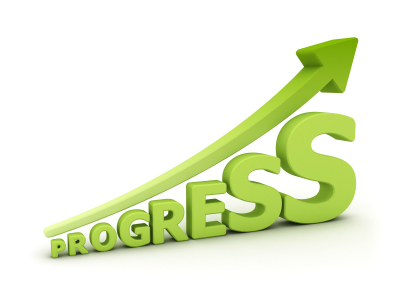 If set-backs are a normal part of making progress, why don’t we help people prepare for it? Forewarned is forearmed, or so they say (not sure who “they” is, but “they” are wise). What constitutes a set-back? Different things for different people, I think. So for me, a set-back is a time when changes you’ve recently instituted get harder to do. The reasons changes might get harder could be because of a pain flare-up, or having less pain than usual. They could happen when life gets especially busy. Or the weather has turned colder (or hotter). Or because it’s holidays, or family members are unwell, or a new puppy gets added to the family. Set-backs can happen when anything disrupts the routine, and when the high of deciding to make a change begins to ebb. Although set-backs are common, they don’t have to put people off their stride, but they DO need some planning. And it’s important NOT to use pain intensity as the guide to whether a person has handled a set-back well – remember that pain intensity can and does fluctuate for many, many reasons, and it’s not the pain that we’re as concerned about as the ability to handle it without losing track of making changes. Painful flare-ups can be a trigger for a set-back, but so can times when pain settles! In fact, in my experience it’s those times when things are going well, pain is settled and all seems to be ticking along when BAM! people forget to use the skills they’ve been developing and begin to head back down to the familiar but unhelpful ways of coping. I think it’s really helpful to list all the various things that can get in the way of carrying on with changes. Then it’s useful to list some ways to get around those factors – for example, if I know that cold weather is going to make it hard for me to get out of bed to go dancing first thing in the morning, I know I can programme the air conditioning so that the room is warm, I can lay my dance clothes out the night before (or practice in my PJ’s! ), I can make sure my bedroom is warm in the morning, and I can set an alarm 5 minutes before my practice time to remind me. I can also have the music all ready to go in my player, and I’ve planned what I’m going to practice – in this way I’ve managed to work around the obstacles I know I will encounter. And I add to this by setting a ridiculously low amount that is my bottom line – five minutes! – and then I reward myself by eyeing myself in the mirror after my practice and saying “You’re a dancer!” And yes, I got this off the wonderful Nadira Jamal, Bellydance teacher extraordinaire. When people do have a set-back, it’s still not too late to do something positive about it. In fact, I think there are two things to do. 1. Go through the factors leading up to the set-back. Identify all the opportunities where different choices could have been made. It’s the “seemingly innocent decisions” that gradually lead towards slipping up that really erode change. So it might be that it’s been a really busy week, so I’ve thought that it’s OK to do half my exercises during the week, and because it’s been great to see a good friend, I’ve gone out with her rather than do my relaxation. And when I’ve been with the friend, we’ve gone to the pub and I had a drink or two. I’ve decided to get up and dance for a while. I’ve been enjoying myself and haven’t noticed the time. I have another drink and carry on dancing. My friend and I head home about midnight and I’ve got a busy day ahead tomorrow – ooops! I’m so sore I can’t move! Where could I have made different choices? Sometimes it’s about avoiding a negative emotion, or about being in a positive mood and being carried away. Sometimes it’s because I might have been feeling a bit flat and down and so I’ve decided it’s OK not to do something – and ended up having to do things at the last minute. Whatever it is, it’s worthwhile taking some time to work back to the earliest point at which I could have made a different decision, and avoided wandering down the path of least resistance. The subsequent steps are designed to move from immediate and short-term actions to avoid a complete cr@p out – like doing a stretch or two, going to have a drink of water, taking a few minutes out to say something calming, maybe changing the task to something different for a few minutes, going to talk to someone (or phone them), maybe even taking lunch early. Longer term actions might include taking some medication (as a last resort), changing position, having the names of a few people to get support from, doing a relaxation, and so on. The “Can Cope” plan can be written down on a small card about the size of a business card (they used to be called visiting cards). Then it can be kept in the wallet and pulled out when needed. The thing with all of these approaches is that they need to be done BEFORE they’re needed. It’s incredibly hard to think straight when life has gone pear-shaped, so do the thinking before it happens. Make every action very specific – if the person is going to phone someone, list their name and phone number on the form. If they’re going to do some stretches, write them down. If it’s a coping statement, write it down! And therapists, remember to let the person you’re working with come up with their own plans for how they might get around these things. Remember, people have incredible resourcefulness if WE just get out of the way and stop rescuing before it’s needed. I think the best way is to let the person know you have confidence in their ability to get through. Don’t step in to rescue – it doesn’t teach anyone anything, and it shows that really you don’t think the person is capable of managing by themselves. Unless you want to see a person and be their therapist forever, stand back and let it happen – then work with the person to analyse what went wrong and what they could do differently. Every set-back is a chance to learn! I’m an educator, and always on the lookout for a good textbook that summarises and presents up-to-date material in a format that’s easy to read and yet comprehensive. The first edition of this book was a great one and I’ve been hoping a new edition would come out – well, the wait was worth it! 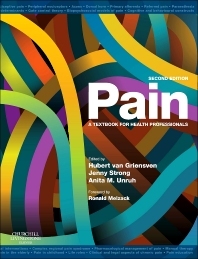 Pain: A textbook for health professionals is edited by Hubert van Griensven, Jenny Strong and Anita M Unruh, published by Churchill Livingstone (Elsevier), and released in November 2013. It’s a whole lot of new material wrapped up in a shiny new cover, over 400 pages of fully-referenced patient-centred pain geekery. What makes this book different from many is the focus on functional outcomes for people with pain, and on the patient’s voice. The book opens with a chapter on “what is pain” from the perspectives of the person, the interprofessional team, the physician, nurse, psychologist, physiotherapist and occupational therapist – and other providers. The “textbook” nature of the book means there are reflective exercises scattered throughout in which you are invited to reflect on your experiences and perspectives, also clear objectives for each chapter, and study questions at the end of many chapters. This is great, because it can be so easy to read with the head and not with the heart. It opens with “what is pain”, the patient’s voice and social determinants of pain as the first three chapters. This is again unusual, because most texts open with neurobiology or models of pain, sometimes forgetting that it is people who experience pain, while neurobiology only transmits information. It also reminds us that for us to know anything about what it is like to have pain, both the person with pain and the onlooker need to communicate – to encode, transmit and decode behavioural components to convey the pain experience to one another. And here is where so many problems begin! Because if either party fails to recognise the signals, communication is faulty and we have assumptions and opportunities for misinterpretation that can then lead to increased distress and disability. The first section of the book then covers the psychology of pain, models of pain, neuroanatomy, and neurophysiology of pain. What I like about these chapters is their clarity and the level of detail which is not overwhelming but remains accurate (to the extent we can be! ), and is well-illustrated for those of us who like pictures for learning. The level at which it’s written is for those with a reasonable familiarity with anatomy and physiology, but it’s not dumbed down, and quickly gets into the level of detail needed to understand many of the latest publications in the area. The second section relates to assessment and management, and its in this section (which has 10 chapters) that this book really shines. It incorporates biomedical, psychological, functional and complementary modalities, including manual therapy and workplace rehabilitation. Not something you’ll often see in a textbook on pain! I particularly enjoyed the chapter on neuropathic pain and complex regional pain syndrome, and it’s great to see discussion of newer modalities like mirror therapy, laterality training and graded motor imagery. The third section is called “special issues” and has chapters on pain education for health professionals, pain in childhood and older adults, cancer pain and spinal pain, and then turns to some rather neglected issues: rehabilitation and ICF, life role participation, the law, psychiatric problems, and acute pain. These are remarkable because they consider the impact of having pain on the individual’s identity and life even if the pain subsides. The focus of management is not simply on pain reduction, but on how an individual becomes well again. It’s comprehensive, written by experts in the field, clearly written, and considers the person with pain and the effect pain has on identity and engaging in occupation. The index and referencing is great, nice clear illustrations, lots of aids to learning including the reflections and end of chapter study questions. The price is reasonable and I could see this book being used as a textbook in pain courses (I may even adopt it for my students!). For a textbook, the cover (I have a soft cover) is a bit light, and I am worried about the spine breaking down if it’s used the way I use textbooks – opened out, copied so I can highlight pages, pages marked with post-it notes, and used in a busy office space where someone else could “borrow” it! It’s definitely covetable, and that’s always a problem for me (I never remember to get them back!). The price in New Zealand was about $85.00. I think that’s pretty good given the cost of many other textbooks. This book would sit well on anyone’s shelf, but especially for people wanting a good overview of pain and pain management, and anyone entering pain management practice. A very useable, readable textbook on pain for clinicians who want a thorough introduction to pain management, or to refresh and update knowledge without wading through all the journals. Just a quick update here – this page is the most popular page on my site, so it must serve an important purpose! If you’re looking for worksheets and ideas for CBT/ACT/DBT etc “homework” (how I loathe that word!) this page of my blog has heaps. I’ve checked the links, and they all work, so don’t be shy, go look at it. For more information on ACT you might like to go to Russ Harris’ blog – lots of cool FREE information on it (ACT therapists are incredibly generous). This post is written primarily for non-psychologists, like a few of my recent ones! This is because I think it’s vital that we avoid ring-fencing aspects of pain management by various health professions, and recognise that without a team approach, people with chronic pain will slip through the gaps and not get effective treatment. And because psychological research informs practice across the health professional spectrum and it’s time we got well-informed and much more confident. Right, end of soapbox moment and back to writing! Catastrophising is the tendency to “think the worst” about a given situation, or a potential situation. (here’s a nice discussion about it on Psych Central). While it’s something that many of us can do in certain circumstances (especially after a sudden unexpected event like an earthquake! ), it has increasingly been a focus of research looking at the factors that influence difficulty recovering from acute pain and complicating disability associated with chronic pain management. Catastrophising is one vulnerability factor included in the pain anxiety and avoidance model (“fear avoidance model”). It’s thought to influence the appraisal or judgement a person makes about the pain, increasing anxiety and activating the escape or avoidance tendency. Avoiding the movements that produce or influence pain (or it is anticipated might do), or activate the belief that the person “can’t cope” with the movement, or the pain – or any other dire prediction will occur (like bone rubbing on bone, or joints being unstable …) reinforces avoidance and the belief in the negative consequences via negative reinforcement. In other words, by not doing the movement, the feared consequences don’t happen, and so the decision to avoid is strengthened. How do you know whether someone is tending to catastrophise? Well, astute clinicians will be listening to words the person they’re working with is saying, and trying to understand what the person thinks is going on when they move or experience pain. Things like “I think the pain will be too much”, “My joints are grinding and clunking”, “The doctor said I will end up in a wheelchair”, or similar! There are also several assessments that can help. The Pain Catastrophising Scale is one that is particularly helpful, but also the Fear of Pain Questionnaire (here’s a link to a reference), and the catastrophising subscale of the Coping Strategies Questionnaire (link to a reference for it is here) can also be used. What do you do then? While for some people with reasonably low levels of catastrophising, it’s relatively easy to begin to encourage them to carry out activities they’ve been avoiding, for others it’s helpful to use a more formal approach such as graded exposure (here’s a link to one of my previous posts about exposure treatment). One study, however, found that people with moderate and lower levels of catastrophising benefited from this approach, while people with higher levels of catastrophising didn’t respond so well (Flink, Boersma & Linton, 2010). Interestingly a study by Ong, Zautra and Reid (2010) found that there is a relationship between experiencing positive emotions and rebounding from pain fluctuations – and people who were found to be resilient modified their tendency towards catastrophising by doing things that made them feel good. This study is also an excellent one for looking at process, or how people change over time using a daily diary method. The finding in this paper suggests that one way for helping people be more resilient and modify their tendency towards catastrophising might be to help them identify and then pursue positive experiences during each day. Scheduling pleasant or enjoyable events as part of a daily routine is certainly something any clinician can do, and often those pleasant events can be physical, such as going for a walk, playing with the kids, or even doing some stretches. Finally (but not the final word! ), a study by McKnight and colleagues looked at the mediating effect of self efficacy on the relationship between catastrophising and disability. In this study, participants with early osteoarthritis in the knee were given either self management, exercise or a combination of both. The researchers were particularly interested in whether focusing on a positive aspect (self efficacy) or a negative aspect (catastrophising) had the greatest influence on outcome (disability), and whether a combination of both had a larger effect. The hypotheses were that catastrophising and self efficacy have a negative correlation, catastrophising and function have a negative relationship, and self efficacy and function have a positive relationship. In other words, the relationship between catastrophising and function would be mediated, or influenced, by self efficacy. Treatments targeting cognitive reappraisal seem to influence catastrophising most effectively. This means helping people to view pain fluctuations as a normal part of returning to movement or exercise. It might mean using a description like “your body needs to get used to moving again”, and reminding people that their pain often fluctuations up and down and never remains at an extreme forever. Mindfulness approaches seem to be very helpful for people to learn to accept or “live alongside” their pain, thus reducing catastrophising. This might translate into encouraging people to really be aware of the range of sensations that are concurrent when pain is present. So, asking the person to focus attention on pressure, texture, temperature, and other sensory modalities like smell or taste as well as their pain can help them to be accept the sensations without judging them. Treatments that increase self efficacy are very effective – such as generating a baseline level of activity, and sticking with it so as to be aware that it’s possible to still do something even when sore; asking what the person actually did in detail even when sore is helpful to remind the person that they’re not ‘back at square one’ even during a flare up. Setting achievable actions (rather than goals that may depend on a lot of things going well) is helpful, as is ensuring goals are reviewed often – and counting the number of actions carried out rather than the number of times the weren’t done. Flink, I. K., Boersma, K., & Linton, S. J. (2010). Catastrophizing moderates the effect of exposure in vivo for back pain patients with pain-related fear. European Journal of Pain, 14(8), 887-892. Ong, A. D., Zautra, A. J., & Reid, M. (2010). Psychological resilience predicts decreases in pain catastrophizing through positive emotions. Psychology and Aging, 25(3), 516-523. More “Psychological stuff isn’t in my scope of practice” so what can I do? Give precise advice about what to do. Give reasons for your advice. Ask the person about their understanding of their pain. Make sure you give clear timeframes for any activity restrictions. The underlying rationale for each of these is to counter two main problems that appear to underpin the development of longterm disability associated with pain: catastrophising, or ‘thinking the worst’, and avoidance. This point is really important, so listen up! It’s not the presence of pain alone that is the problem. It’s negative thoughts or judgements about pain, and behaviours that people do to avoid exacerbating the pain. Combine both of these with low mood, and we have a witches brew that can lead to longterm disability. And it’s disability associated with pain that really is the problem because it’s about not being able to do the things that people want or need to do. OK, ’nuff said. While I appreciate that pain by definition is a negative emotional experience, it’s these two additional components that need to be addressed as early as possible. And yes, that’s pretty much what Linton and colleagues found (and recommend) in the paper I’ve referred to. Their point is that we don’t know very much about the best ways to target the tendency to catastrophise, and while our focus is often on low mood and low mood certainly has a major impact on longterm outcome, we also need to directly address catastrophising and develop targeted treatments for this. Check with the patient to find out what they think they’ve heard. What does the person hear when you give an explanation? What do they think you mean? How does your explanation fit in with their personal theory of what is going on? A picture or diagram is worth a thousand words. I find myself drawing diagrams linking the person’s thoughts, their responses in both emotions and behaviours, and I add in alternative paths and extra information that I can give to them to take away. Personalising this information and using what the person already knows to show them that their reasoning might ‘make sense’ but has unintended consequences, or their reasoning is based on inadequate knowledge helps to make your advice on ‘doing it differently’ much more acceptable. This is a joint discovery you and the person are making. Setting goals always needs to start where the person is at. If you want the person to start doing things for themselves, being active in their own treatment, they need to feel that those actions are both important and that they can do them successfully. If the person doesn’t think they can walk to the letterbox every day, even though you think that’s barely sufficient, then start with something they think they can do – and do consistently. When the person comes back to see you – check with how they’ve carried out the goals you set. If you don’t check in on them, they’ll see the goals as unimportant. Even if they haven’t done the goals, you can continue with your treatment – just ask what happened? What got in the way of doing the goal? What went through their mind? What external obstacles got in the way? This is where you’re starting to use psychological ‘stuff’ because often what you’ll find is that it’s thoughts/beliefs about the pain, emotions related to those thoughts about pain, and/or the influence of other things (people, events) that will directly influence recovery. More on this stuff tomorrow – but let me know, does what I’ve written ring true? Can you do this? Does it make sense to you as a clinician? I’m looking forward to hearing your comments. I don’t know about you, but I’m not the world’s best at noting down every activity I do during a day. I get engrossed in the thing I’m doing and I often get interrupted, so it’s not very easy to record my activity moment-by-moment. Yet, for many of us, this is something we ask for from the people we’re working with. Luckily, there is some research on daily diary methods. Unluckily for most of us, the best ones (ie most accurate and least intrusive) are electronic! Useful if you’re funded for some research, less helpful if you’re trying to do this in your everyday clinical setting! Basically, the research findings show that an electronic, automated and usually random alarm that reminds the participant to record their activity (and usually pain) then-and-there provides more complete data than a paper diary. I’m definitely no computer programming expert (actually I don’t know anything about programming – I just use the darned things), so I don’t have access to either the technology or the programming to be able to use an electronic diary. One day perhaps. So I rely on paper recording. Not everyone follows the instructions! If the effort of completing any daily recording is too high, you’ll see the person quickly scribbling in the diary in the waiting room – not quite what you hope for! Keep the demands reasonable. If you would find filling a diary of everything that you do difficult, it’s likely the person you’re working with will too. In practical terms this means making the purpose of the diary very clear (so importance is high), and the recording process as simple as possible (so confidence that it can be done is high). Cuing the recording to regular activities helps. So it’s a good idea to anchor filling out the diary to mealtimes, for example. Of course if the person doesn’t have regular mealtimes, this isn’t going to be easy – but just by tying the recording to specific times of the day may be sufficient. Tickboxes are easier than writing words. If you can, make the recording process as simple as possible – it’s easier to tick a box for a category of activity, for example, than to write down “Grocery shopping”. Recording something draws attention to it. And is this what you’re wanting? If you ask a person to record pain intensity, and you’re really aiming to increase activity, you’re focusing the person’s attention onto pain rather than onto whether they’ve completed the activity. I personally rarely record pain intensity, and I don’t talk much about pain intensity after the first session. I don’t aim to alter pain intensity, so I don’t focus on it. 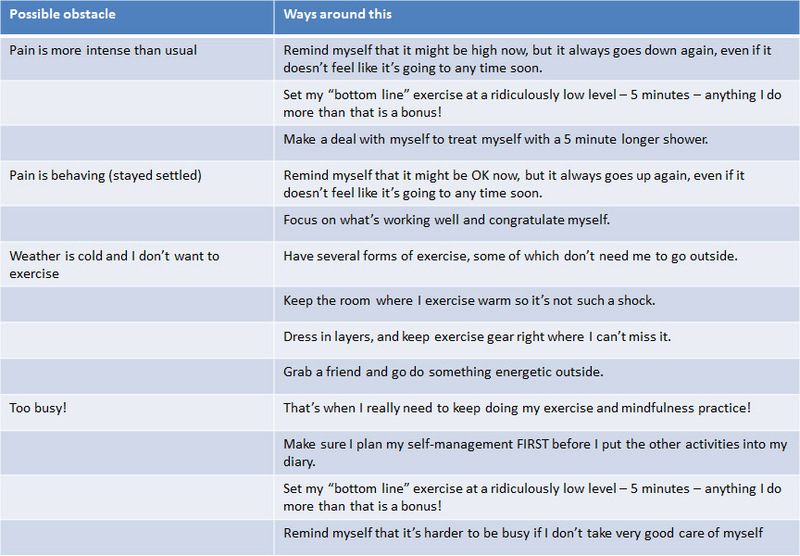 If I want to focus on distress or thoughts or ‘up time’ – these are what I’ll ask the person to record. With someone who finds it difficult to record anything, the initial focus could be on simply recording how often a target behaviour occurs. For example, I’m working with a woman who has very low confidence for managing painful flare-ups, so she does very little on high pain days. She’s also quite low in mood and becomes highly distressed. I’ve worked with her to identify two activities that she can do everyday – putting on makeup, having coffee with her children. We’re only recording (with a tick!) the number of times in a week that she completes these two activities. By focusing on an activity she wants to do, and only recording when she is successful, her attention is on what she is doing (rather than the entire list of things she’s not doing), and she gradually seeing only the successes, rather than recording her failures. We add the total number of days in a week that she’s been successful, and increasing that running total is our goal. I’ve limited the number of activities she’s recording – too many, and she’ll be overwhelmed and feel demoralised. Once she’s managed these two activities consistently every day, we’ll add another activity to the list. Another approach is to use the ‘Plan to, Did do’ diary. In this approach, popularised by Sullivan in the Progressive Goal Attainment Programme (PGAP), the participants make a plan for the day either the night before, or in the morning. 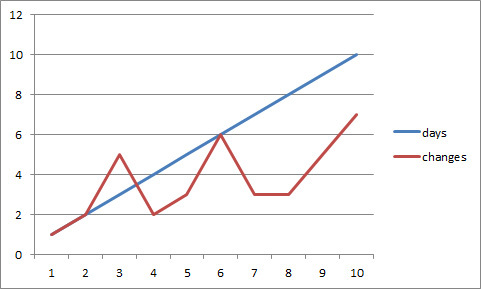 At the end of the day, they note down their actual activity pattern beside their planned ones. At the bottom of the sheet, some of the strategies the person used to do their activities can be listed – both the planned ones, and the ones they actually used. And my final adaptation is to use a colour coding arrangement on a spreadsheet with one client. To help her identify the balance of activities she carried out during each and week, she completed her daily activities in a spreadsheet, and used colours for ‘self care’, ‘family’, ‘paid work’, ‘exercise’, ‘relaxation’, ‘household management’. By doing this she was quickly able to review her week to see how closely she’d followed her planned allocation of activities over the week. This allowed her some flexibility within each day, with the focus on her weekly balance rather than her daily schedule. Allen, K. D., Coffman, C. J., Golightly, Y. M., Stechuchak, K. M., Voils, C. I., & Keefe, F. J. Comparison of pain measures among patients with osteoarthritis. The Journal of Pain, 11(6), 522-527.